Wouldn't it be nice to earn savings up to $200*? Purchase your travel package on Expedia today! Select from more than 400 partner airlines and 321 000 worldwide properties via our extensive database of flights and lodgings. Fly with who you want, stay where you want — now that's the perfect holiday! Are you looking to make some marvellous memories? A getaway is the perfect time to dive into cool new experiences. For a more complete guide to activities, take a look at our Hoi An things to do page. A vibrant mix of wooden pagodas and busy tailors. The ancient town is a perfectly preserved part of ancient Hoi An with an eclectic mix of cultures and eras. 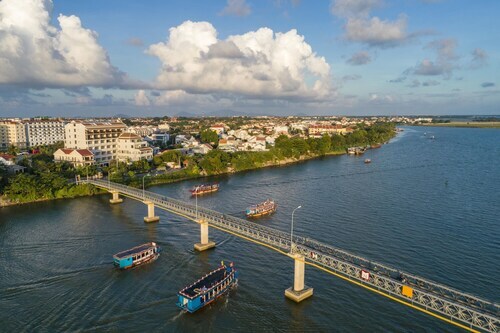 One of Vietnam’s most famous bridges, this example of 17th-century architecture is a testament to how mankind will always invent and produce lasting history. A dazzling display of reds, golds and greens, this beautiful temple was built in 1653 in honour of a Chinese military officer who fought during the Han Dynasty. 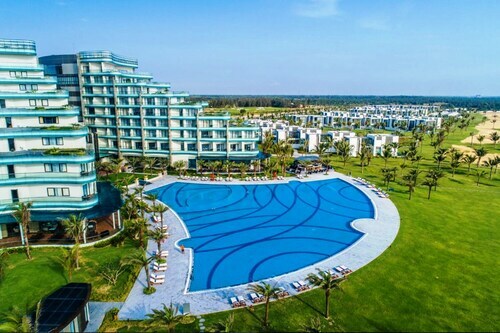 Offering direct access to the beach, this Cửa Đại resort is 1 mi (1.6 km) from Cua Dai Beach and 2.6 mi (4.2 km) from An Bang Beach. Ba Le Market and Cam Thanh Bridge are also within 3 mi (5 km). 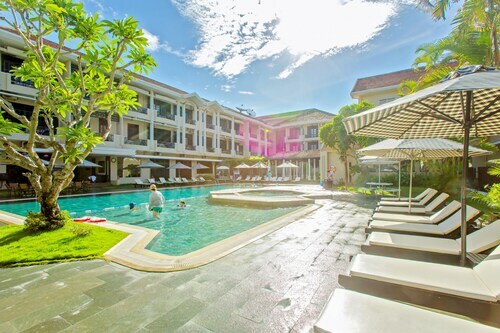 Located in the heart of Hoi An, this luxury resort is steps from Tran Duong House, Hoi An Ancient Town, and Riverside Hoi An. Hoi An Market and Hoi An Night Market are also within 15 minutes. Located in Hoi An City Centre, this spa hotel is steps from Museum of History and Culture and Riverside Hoi An. Hoi An Ancient Town and Hoi An Market are also within 5 minutes. Located in the heart of Hoi An, this hotel is within a 10-minute walk of Song Hoai Square, Hoi An Ancient Town, and Hoi An Night Market. Chua Cau and Phung Hung Old House are also within 15 minutes. Located in Hoi An City Centre, this spa hotel is within a 10-minute walk of Riverside Hoi An, Hoi An Ancient Town, and Hoi An Night Market. 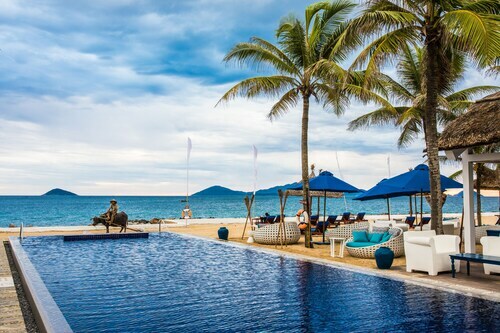 An Bang Beach and Hoi An Market are also within 3 mi (5 km). 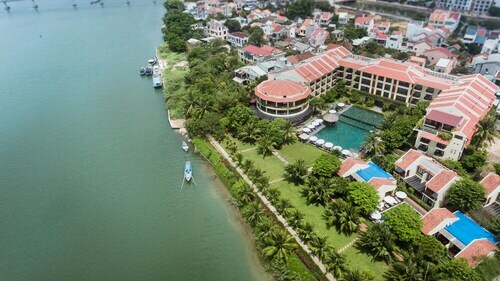 This family-friendly Thang Binh hotel is located on the riverwalk, 2.3 mi (3.8 km) from Vinpearl Land Nam Hoi An, and within 9 mi (15 km) of Riverside Hoi An and Cua Dai Bridge. Cua Dai Beach and An Bang Beach are also within 12 mi (20 km). Tue., 10 Sep. - Fri., 20 Sep.
Fri., 30 Aug. - Sun., 1 Sep.